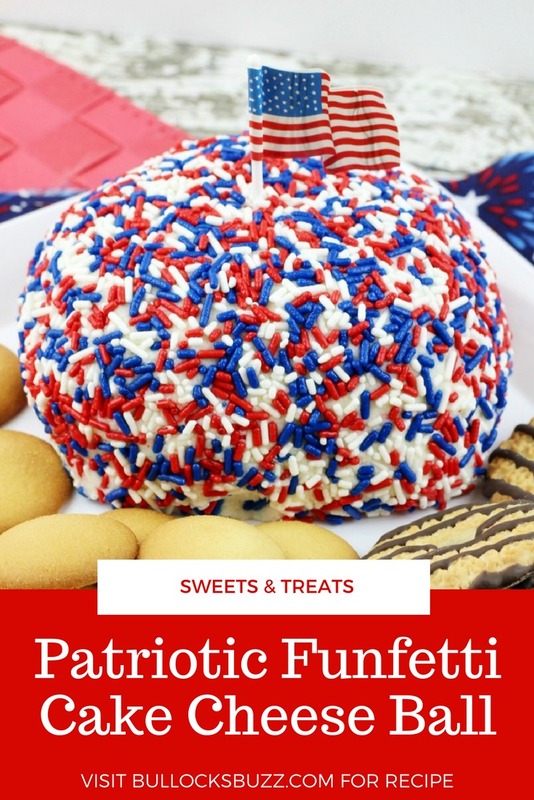 Colorful Funfetti cake mix is shaped into a ball, dipped in red, white and blue jimmies, then served as a dip in this deliciously sweet Patriotic Funfetti Cake Cheese Ball. 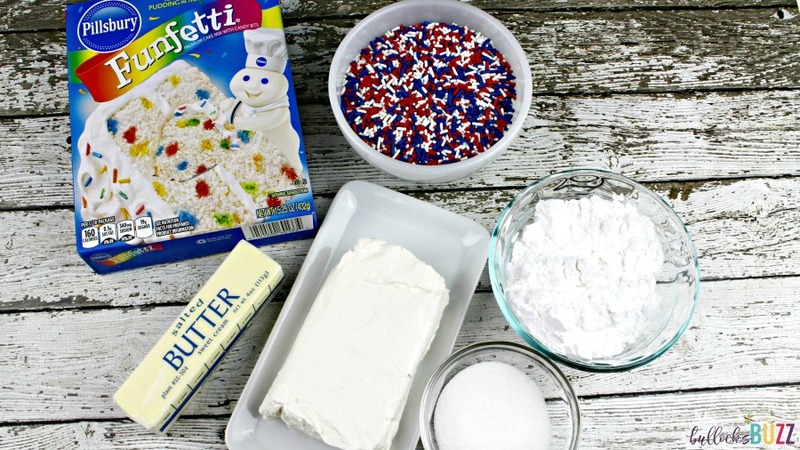 Add some sweetness to your 4th of July holiday celebration with this easy-to-make, no bake patriotic recipe! 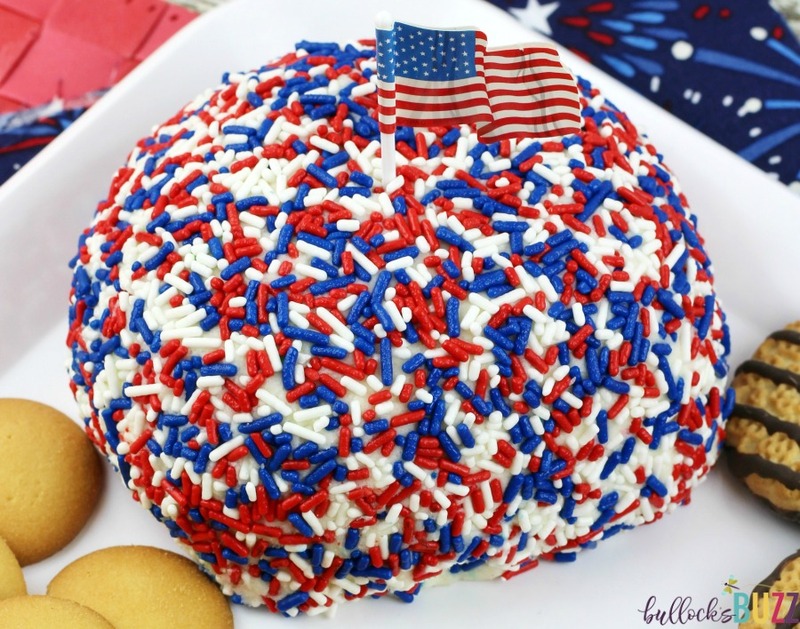 If you like cake batter you are going to love this Patriotic Funfetti Cake Cheese Ball! It tastes just like cake, only in a dip form. And it goes perfectly with fresh fruit, cookies, graham crackers or whatever else captures your fancy! Best of all it’s incredibly easy to make! Another thing I love about this recipe is its versatility. By simply switching the color jimmies, you can serve it at any special event or celebration! Use red and green for Christmas, blue and white for Hanukkah, pink and white – or blue and white – for a baby shower, or red and pink for Valentines Day. Whatever occasion you choose, your guests are sure to be impressed! 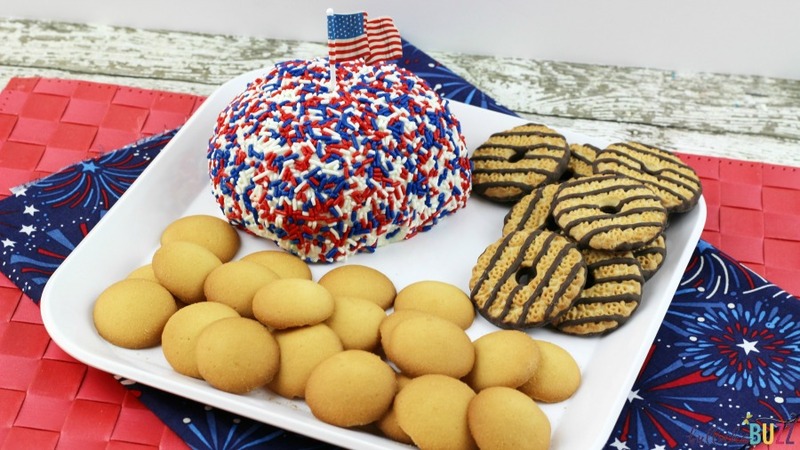 Ready to see how to make this fun-filled Patriotic Funfetti Cake Cheese Ball? 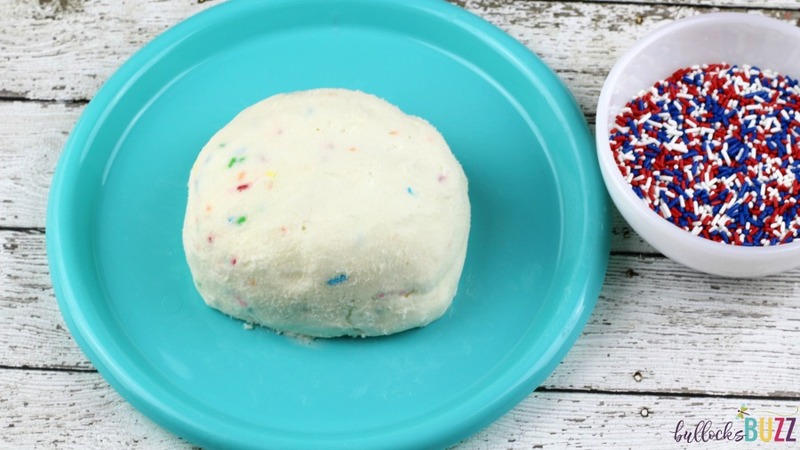 This recipe will yield one Funfetti cake cheese ball dessert. Planning ahead? This recipe can be prepared up to 12 hours ahead of serving time. 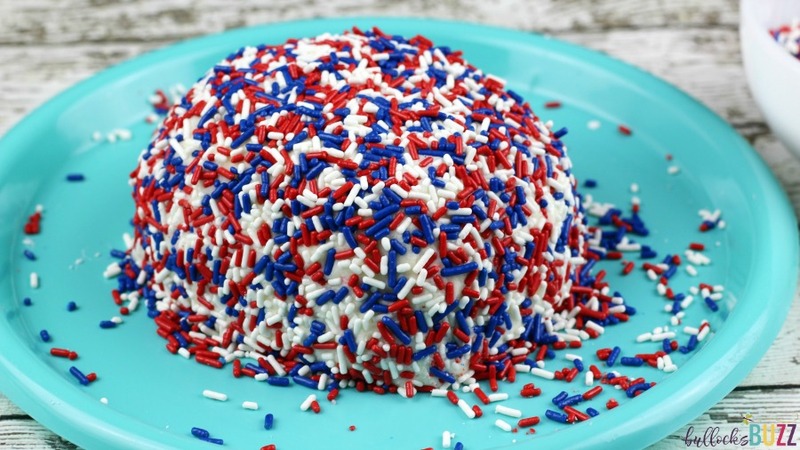 Once made, simply place the Patriotic Funfetti Cake Cheese Ball in the freezer until you are ready to serve. Serve with: fruit, vanilla wafers, graham crackers, etc. 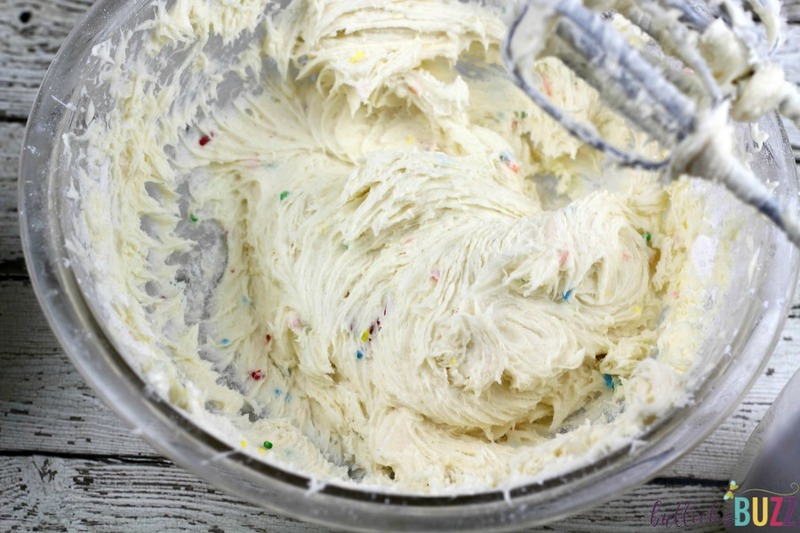 Begin by adding the butter and cream cheese to a large mixing bowl. Using an electric mixer on medium speed, combine until smooth and creamy. Next, add the cake mix and both sugars mixing on medium speed until completely combined. Now lay out a large piece of plastic wrap. 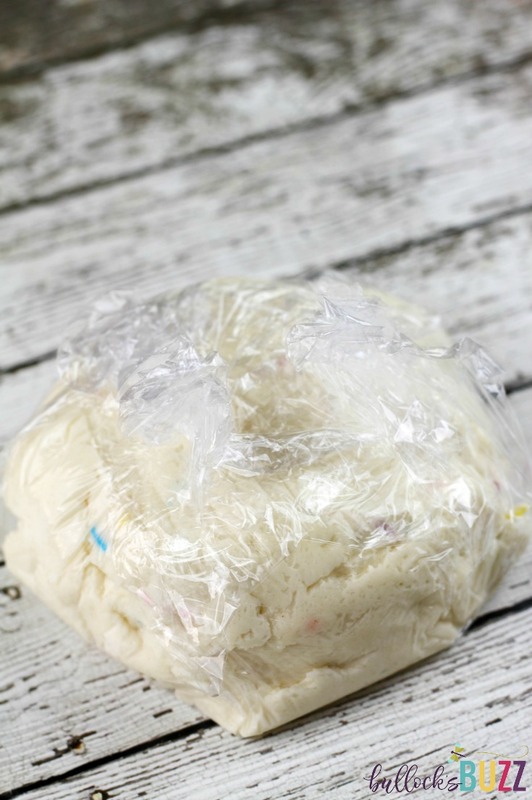 Using your hands, shape the mixture into a ball and place it in the middle of the plastic wrap. Bring up all 4 corners of the wrap to form the ball tighter and cover it completely. Place into the freezer for 2 hours. Once the ball is ready, remove it from the plastic wrap and place it on a plate. Pour the jimmies into a shallow pan or plate. Now take the cake ball and roll it in the jimmies, covering it completely. Transfer the cake ball to a serving dish and serve with your choice of vanilla wafers, fruit, cookies or anything else you’d like. See? Easy as can be! And doesn’t it look good enough to eat?! Speaking of easy, the handy-dandy printable version of this recipe is below. In a large mixing bowl, add the cream cheese and butter. With an electric mixer on medium speed, beat until combined. Add the cake mix and sugars. On medium speed, beat until well mixed. Lay out a large piece of plastic wrap. Shape the cake mix mixture into a ball and place in the middle of the wrap. Bring up all 4 corners of the wrap to form the ball tighter and cover completely. Place in freezer for 2 hours. 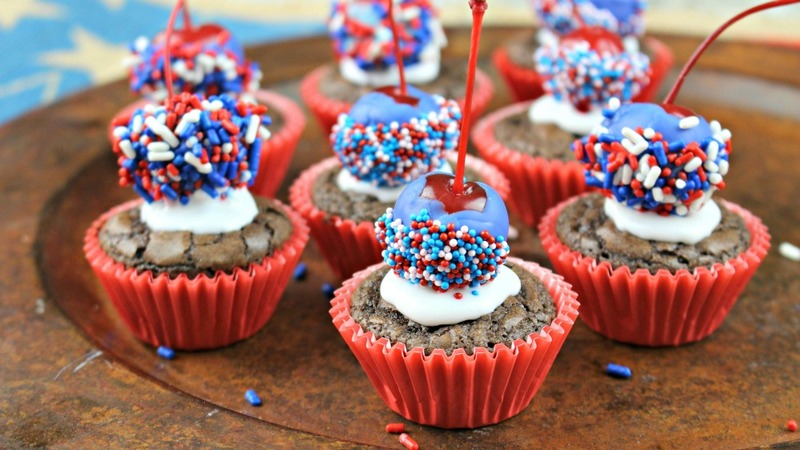 Pour the patriotic jimmies onto a shallow pan or plate. Unwrap the cake ball and roll it in the jimmies, covering it completely. 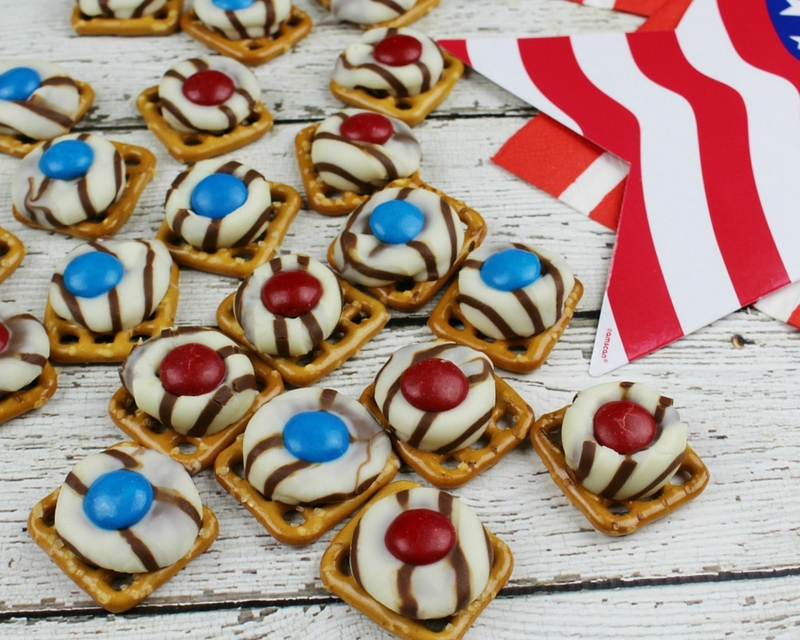 Looking for more deliciously fun Patriotic Recipes? Keep reading!